We have been assisting importers or exporters successfully ship their cargo for over 38 years , we have extensive experience in all area of international trade, and have found more often than not the mostly likely area to be overlooked is the selection of the correct packaging requirements and materials, before importing or exporting we suggest you contact one of our highly trained professionals. When packaging a product for export you need to keep in mind the major factors: breakage, weight, moisture and pilferage. Also, how a product is packaged depends upon the destination and the method of transportation. Your package must be designed to handle the following stress factors, repeated loading and unloading, being unloaded in the rain and stored in the open, stacked, pushed, shoved, dragged, dropped, processed on a conveyor belt even sent down a chute. Packaging for air shipments requires lighter packaging than ocean shipments.To avoid theft in transit it is best to use plain boxes without logos or name brands. 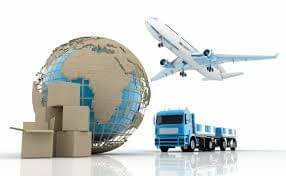 Also, because transportation costs are determined by volume and weight, special reinforced and lightweight packing materials have been devised for exporting. Packing goods to minimize weight and volume may save money as well as ensuring that goods are properly packed. Be sure to pack goods in strong containers with the weight evenly distributed within the container. If possible pack goods on pallets for easy handling. A filler made of moisture-resistant material is imperative. Wood packaging is recognized as a pathway for the introduction and the spread of pests. To reduce the spread of infestation International treatment guidelines have been adopted by the International Plant Protection Convention (IPPC). This is a process where the wood is heated to achieve a wood core temperature of 56 degrees C for a minimum of 30 minutes. It is then labeled with the ISPM 15 standard mark. You may purchase lumber that has already been treated prior to building your wood packaging material or you may build your packaging and have it treated and then stamped. There are many commercial suppliers of wood packaging materials already built and stamped that you can purchase as well.